Thanks to Steve Rush of Bristol OK for the use of the photo of Simon Moss crossing one of the open areas. 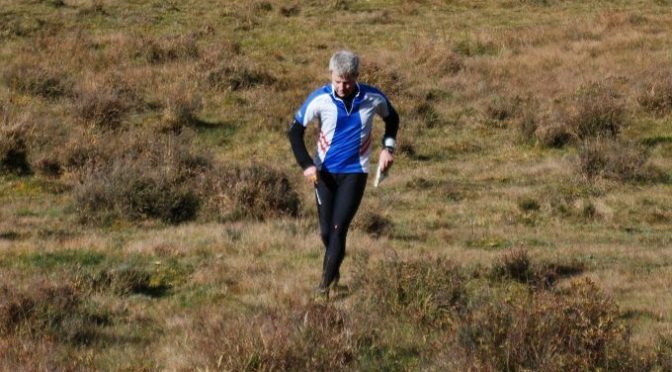 Southampton Orienteering’s Club 50th running of the November Classic yesterday, incorporating the Southern Championships, was the last “major” race of 2017. It was also SLOW’s Autumn Series Race 3 of 5; an event we felt all members could enjoy. And so 35 of us made the startline. The map was “Acres Down & Highland Water”. It was usual New Forest conditions for Autumn – fast on the whole, but with leaves, water and mud, so no-one got to the finish with dry feet. Heavy going on a lot of the tracks meant the forest sometimes provided easier running. The weather was bright if not so warm. And the navigation was pretty tricky in places, with many controls on small features. Congratulations to SLOW runners in the top 3 of the Southern Championships. We have three Southern Champions! M35 1st – Ed Catmur, 3rd – Tom Davies. M70 2nd – David May. UPDATE: Wednesday 8th November. BOF Ranking Points have now been allocated, and so SLOW Autumn Series points too. 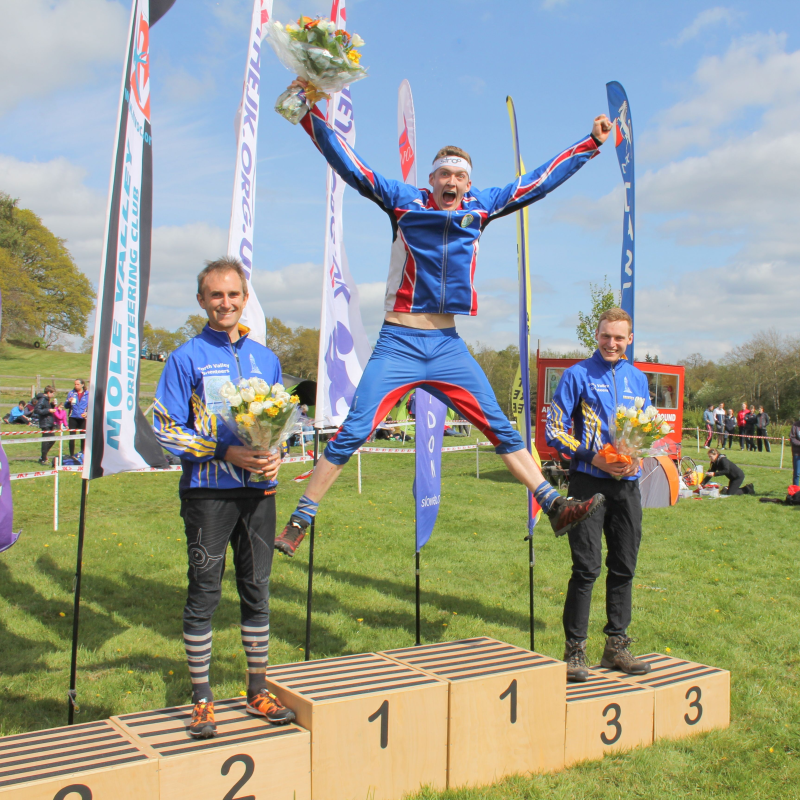 Three runners had their highest scoring runs in the last year: well done, Abi, Chris (Robinson), and Nicki. Great to do that at a major championships. Not everyone had a good run. New Southern Champion Sarah for example, had, if I understand the system correctly, a run that was so below her normal scores that it was automatically excluded from the calculation of the target time for that course. 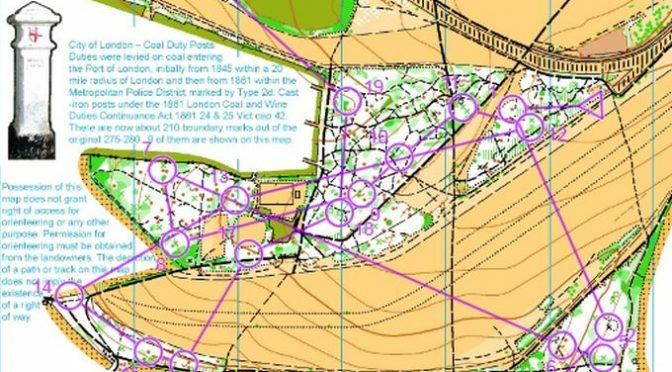 The SLOW “Autumn Series 2” race was in Sussex at Ambersham Common – the same map used for this year’s championship JK Saturday races back in April. It is one of the finest heathlands in the South Downs National Park. And as at the JK the planning was “middle distance”. 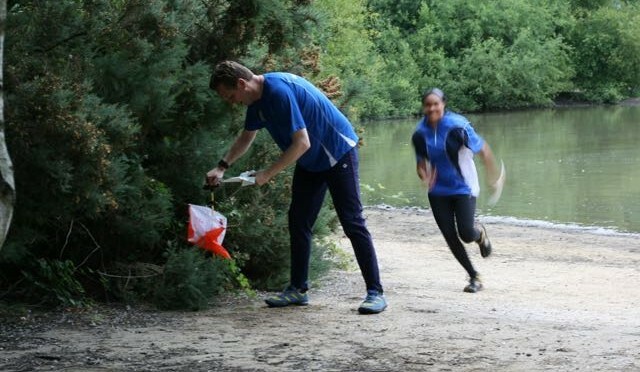 Thanks to Guildford Orienteers, particularly to the main officials of Jim Morris (planner) and Frederick Smith (organiser). Robin Smith of Southdowns was controller. With the weather bright and fine, assembly was in vast flat Polo fields (thanks to Cowdray Park Polo Club), with great views of countryside towards densely wooded slopes to the north. A short warm-up walk/run led to the competition area. (Updated 6th November.) 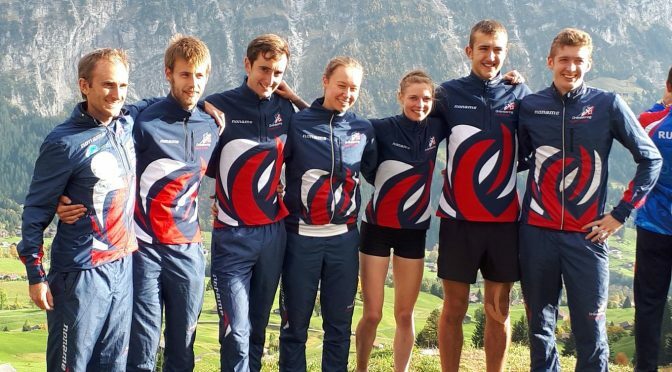 Our Autumn Series uses unadjusted BOF Ranking Points for a light-hearted comparison of our runs. Here is a summary of SLOW runners, with Autumn Series points. 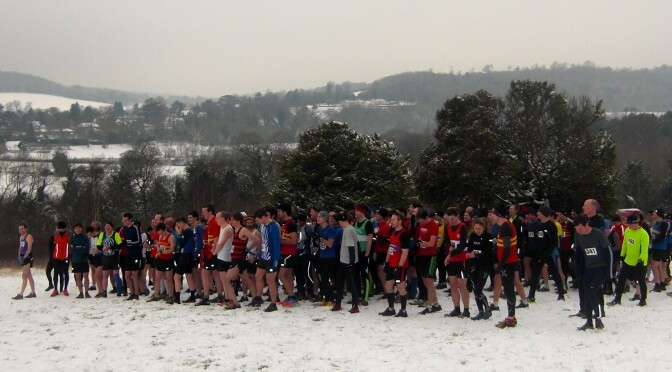 South London Orienteers organize two hill races near Dorking each year. The winter Box Hill Race sells out very quickly. 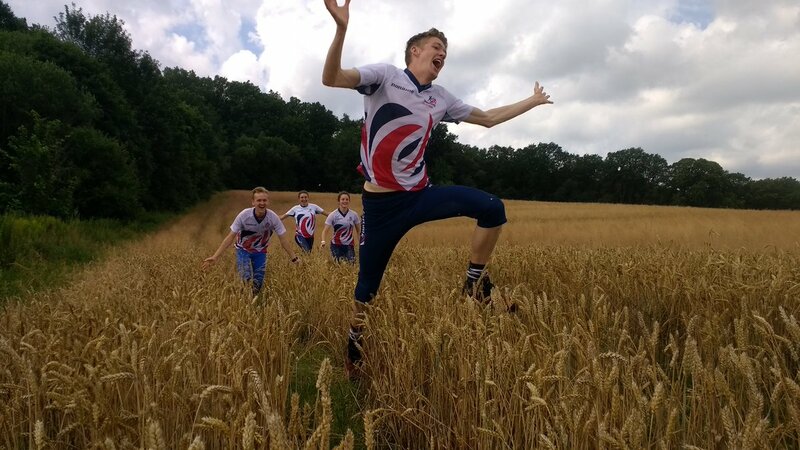 For a summer challenge, why not run the Surrey Hills on the 3rd June? 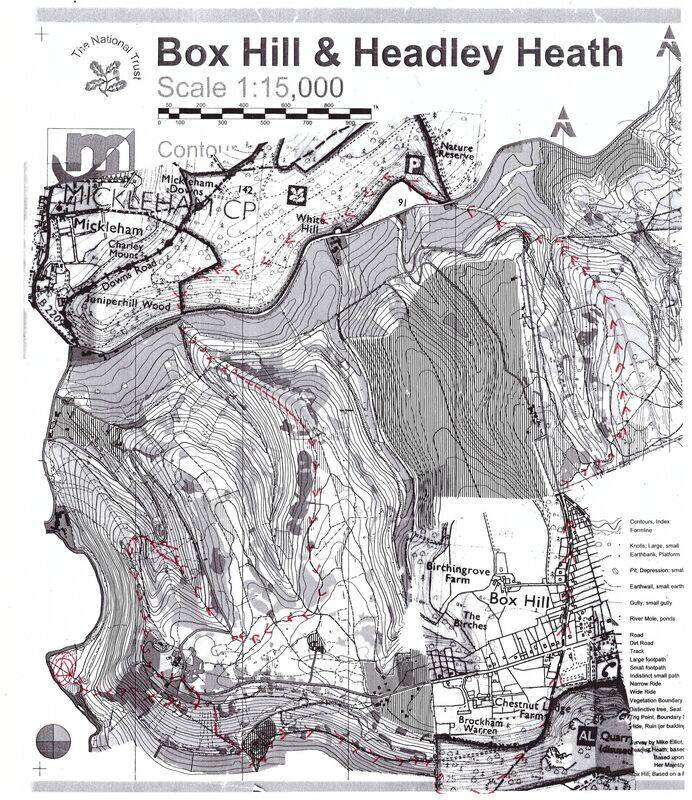 Surrey Hills Trail Challenge Map. UPDATE: The Race is FULL. Entries opened at 00:00 on Wednesday 1 November, and closed at 9am. 12 kilometres with 520m of ascent under F.R.A. rules. The race is again moving to a new base this year. We will be at the Stepping Stones pub in West Humble Street, West Humble RH5 6BS. Grid Reference TQ170517. Collection of race numbers will be there from 9.45 and the prize giving will be around 1.30 pm. RUNNERS ARE NOT ALLOWED TO USE THE PUB CAR PARK AS IT IS VERY SMALL. THE RECOMMENDED PARKING IS AT RYKA’S, JUST NORTH OF THE BURFORD BRIDGE ROUNDABOUT. Boxhill & Westhumble station is only 300 metres away and the 465 bus goes along the A24. The race will be over the same course as 2015, 2016 and 2017, with the start/finish area just over the stepping stones over the River Mole, about a kilometre from the pub – possibly our shortest warm-up run ever. THERE IS A LIMIT OF 250 RUNNERS. We will accept more entries than this expecting some no-shows (330 in all). Note that when entries opened last year they sold out in 9 hours. Race numbers will not be posted in advance. Numbers can only be collected from registration on the day. Please note that under FRA rules people under 18 are not allowed to run. I accept the hazards inherent in fell running and acknowledge that I am entering and running this race at my own risk. I confirm that I am aware of the rules imposed on me by the Race Organiser and that I will comply with them. I confirm that I have read and will comply with, the FRA “Requirements for Runners”. I acknowledge and agree that I am responsible for determining whether I have the skills equipment and fitness to participate in this event. 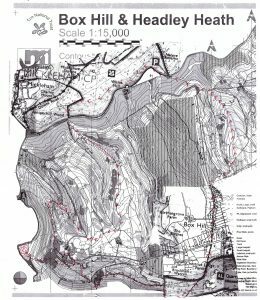 I accept that neither the Race Organiser nor the Fell Runners Association shall be liable to me for any injury, loss or damage of any nature to me or my property arising out of my participation in this race (other than in respect of death or personal injury as a result of their negligence). The final race of SLOW’s 2016-17 Night-O series was held on Wimbledon Common on Tuesday 21 March 2017. Conor Short won the event overall to take second place in the series to Paul Couldridge, with Slavjana Birec beating Sue Carter to be the first lady home. M50+ 1st Pete Huzan (280). W50+ – 1st also Sue Carter, so prize awarded to Fiona Tam, a narrow 4th on Women’s Open (212). Full series results are available here. There are prizes still to collect for Scott, Pete, Julie and Iris – I’ll be at the Tooting street-o or JK, so please let me know when’s best for you.